Hummus is one of those dips or spreads that you can enjoy eating without feeling guilty. There’s your basic hummus, edamame hummus, beet, black bean, avocado & artichoke, sun-dried tomato basil, spinach feta hummus or create your own hummus. Once you have the basic recipe down you can pretty much play with your favorite ingredients to conjure up your own tasty blend. I love roasted red peppers and make them homemade all the time. 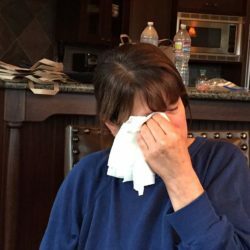 However, when in a pinch I use the jarred varieties that companies like Melissa’s sells that simply saves me time while still maintaining their great flavor, health benefits and they’re ready to go right from the jar. Yesterday for Memorial Day I made a Roasted Red Pepper Hummus to serve with cucumbers, peppers, celery, carrots and tomatoes. If you’re a fan of roasted red peppers, you will love this. Everyone managed to surround themselves around this dip. Make a batch and if you are lucky enough to have leftovers, use it as a spread the next day on tortillas filled with fresh veggies and whatever else you desire. While I’d like to take credit for this recipe it belongs to Giada De Laurentiis. What I like best about her version is she uses cannellini beans instead of garbanzo beans. Cannellini beans also known as white kidney beans are found in Italy and often used in Tuscan dishes. 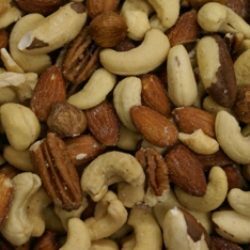 They have a firm texture and skin, but creamy with a nut-like flavor which is what makes this dip so sensational vs. using a Garbanzo beans which tends to be firmer and grainy in my opinion. Try this recipe and you be the judge. Please tell me what you think. I’m pretty sure you’ll agree it’s one of the best hummus recipes you’ll ever taste. 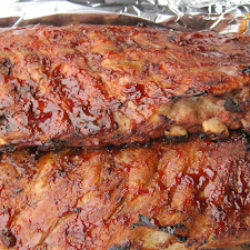 This recipe is so easy and delicious you can almost make it with your eyes closed. 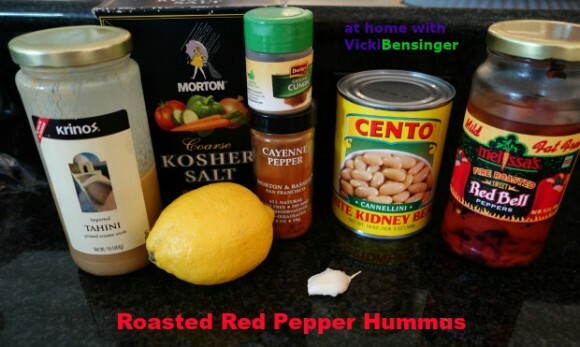 Hummus: In a food processor, combine the peppers, tahini, lemon juice, cumin, salt, cayenne pepper if using, beans and garlic. Blend until smooth, scraping down the sides of the bowl if needed. Season with salt if needed. Transfer the hummus to a small bowl. 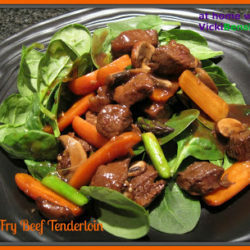 Serve with sliced cucumber, sliced bell peppers, carrots, tomatoes or celery. Garnish with fresh parsley, cilantro or mint leaf into the side of the filling as a garnish. Optional: For an added kick add 1/2 of a Chipotle Pepper in Adobo sauce to the blender when mixing. Vicki, this sounds wonderful. 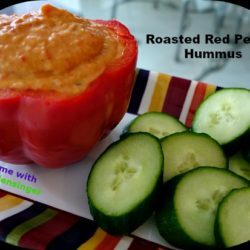 I LOVE roasted red pepper hummus! This is so good my family could barely wait for me to take the photos – that’s why they’re marginal at best! This is such a pretty and tasty looking dip Vicki…I like that it is simple and easy! It’s delicious Juliana and would make a perfect spread for a wrap too. I love roasted red peppers! They have such a wonderful flavor, don’t they? Haven’t tried them in hummus, though — terrific idea. Thanks! I think you’ll love it John and be sure to use the cannellini beans – WOW what a difference they make in the texture and taste of the hummus. I love all different kinds of hummus. This looks so wonderfully creamy and delicious with roasted peppers. It is so creamy, thanks to the cannellini beans – a must for this recipe and my guess other hummus recipes as well. I’m sure your family will fall in love with this recipe. My family could barely wait for me to finish taking the photos so they could dive into it. It’s that good! 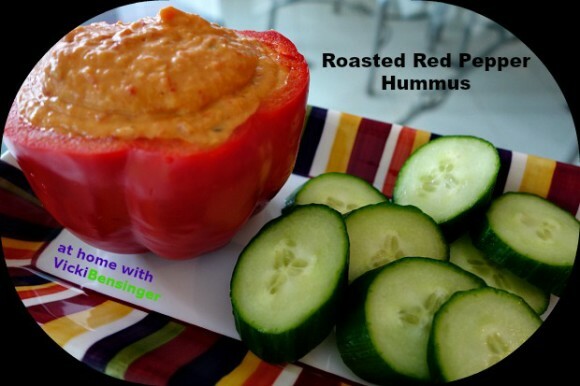 we LIVE on hummus here – love this roasted red pepper variety! If you live on hummus you’ll love this recipe. Be sure to use the cannellini beans it makes a HUGE difference in texture and taste. Let me know what you think. Hummus is such a versatile thing and you just proved it. Roasting peppers are such a nice way to intensify the flavors. Really like it. I love it that you made this with cannellini beans rather than chickpea. Bet it yielded a much smoother texture. Love anything that highlights the sweet romantic flavor of the roasted red pepper! Looks so good Vicki! What a delicious treat. 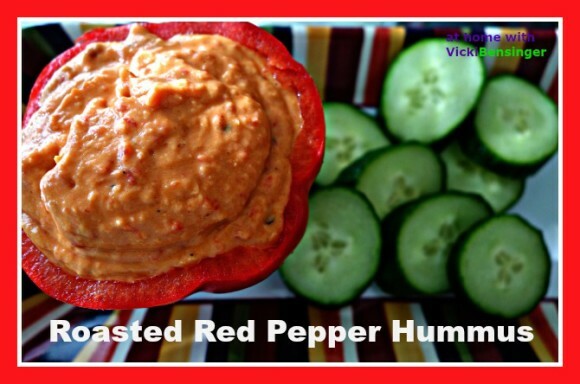 I love hummus and love that it is infused with roasted red pepper. Can’t wait to try. This would be perfect for our 4pm dip-athon we try to have every day.